The Interprovincial Board of Communication (IBOC) is your central resource for materials about the Moravian Church in America. The materials in our online catalog are ideal for anyone, regardless of denomination, who is looking to learn more about Moravian Christians, our history, our practices and our theology. Proceeds from the sale of these items help fund IBOC activities and the development of new materials. The purpose of the IBOC is to promote the image, ministry, heritage, doctrine, life and mission of the Moravian Church; to provide information about its activities and opportunities; and to inspire and equip individuals within the Moravian Church and beyond to grow in their personal relationship with Jesus Christ and to serve as his disciples.  The IBOC provides resources in print, audio-visual and electronic media to make this possible. It carries out its own goals and works in cooperation with other ministries of the denomination. The IBOC represents the communication and publication ministry of the Moravian Church in America. We support both the Northern and Southern Provinces. The Moravian Magazine, the official journal of the Moravian Church in North America. We publish 10 issues per year, chronicling and sharing the life, faith, people and happenings of the North American Church. Every Moravian household in North America receives the magazine. The North American editions of the Moravian Daily Texts, one of the oldest continuously published daily devotionals in the world. Each year, we compile, edit, design, produce and ship four editions of this daily devotional, along with the Directory & Statistics of the North American Church. Digital editions for the Amazon Kindle and other tablets are also available, and more than 22,000 people subscribe to the Daily Texts via e-mail and on Facebook. www.Moravian.org, the Moravian Church in America’s main web presence. The site is a central promotional and informational resource for those interested in learning more about the Moravian Church. It is also designed to help connect congregations and current members to the wider denomination. In addition, we manage Facebook pages for the Moravian Daily Texts and The Moravian Magazine. Publications of the Moravian Church in America. The IBOC offers more than 40 titles, along with worship and congregational resources, sacramental certificates, Moravian gift items and the Sunday bulletin service. Communication resources for the Church. We provide communication counsel and expertise, design options, workshops and other resources to congregations and church agencies in both provinces.